An Epic (and favorite) Route! An ECLECTIC circuit journey around Bulgaria—includes; vibrant & historically rich cities; remarkable monasteries & churches; Thracian Beehive Tombs; the mighty Tsarevets Fortress; Nicopolis ad Istrum, an incredible (& little known) ancient Roman city; authentically-intact Villages; a jewel of an ancient seaside town (on the Black Sea); Authentic (& delicious!) Balkan Cuisine; along with two of the oldest continuously-inhabited cities (Plovdiv & Sofia) in Europe; the experience of “living it” WILL BE unforgettable! Straddling the Line of the Eastern & Western Roman Empire!! An eclectic and immersive journey through the Balkans-spanning the historical divide between the Western & Eastern Roman Empires – Highlights; vibrant, historically rich, Danube River-perched Belgrade; indescribably picturesque & dramatically situated Bay of Kotor—often referred to as “the southernmost fjord in Europe!”, Dubrovnik, quite appropriately called “The Pearl of the Adriatic”; Atmospheric Sarajevo-steeped in history, charm & beauty; Mostar, a cultural jewel; two spectacular between point journeys—via train & bus—which will leave you breathlessly in awe. Day 5: Kotor – Town, Fortress & Bay of Kotor – Explore/Enjoy! Day 8: Kotor – Soak in another day in this beautiful place! 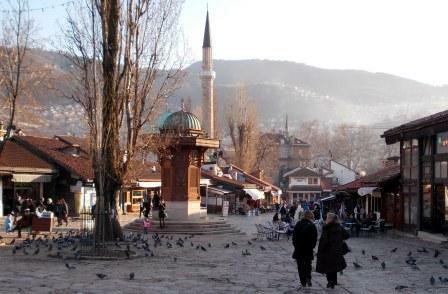 Day 10: Sarajevo – Orientation/Walking Tour / Explore & Enjoy! A scenic triangular circuit route through the Heart of Romania – an unforgettable Cultural Experience!